Data hacking events are cropping up all over the place and that’s a good thing for public services. This is what a data hack event looks like. Nothing sinister going on here! Unfortunately the word ‘hack’ has negative connotations so some projects like the upcoming Learner Journey Data Jam are using ‘jam’ as an alternative word to ‘hack’. This may cause some confusion this summer as there is an upcoming GovJamUK in June being held in Dundee and Exeter which is not necessarily a data jam. So try to keep the nuances straight if you’re explaining to colleagues! Work starts and prototypes are presented to judges at the end of the event. There will be variations on a theme over events but the core of data hack events are usually standard. Why not check it out yourself? There are two upcoming events offering spectator tickets if you feel you don’t have any skills or expertise to help out a team. 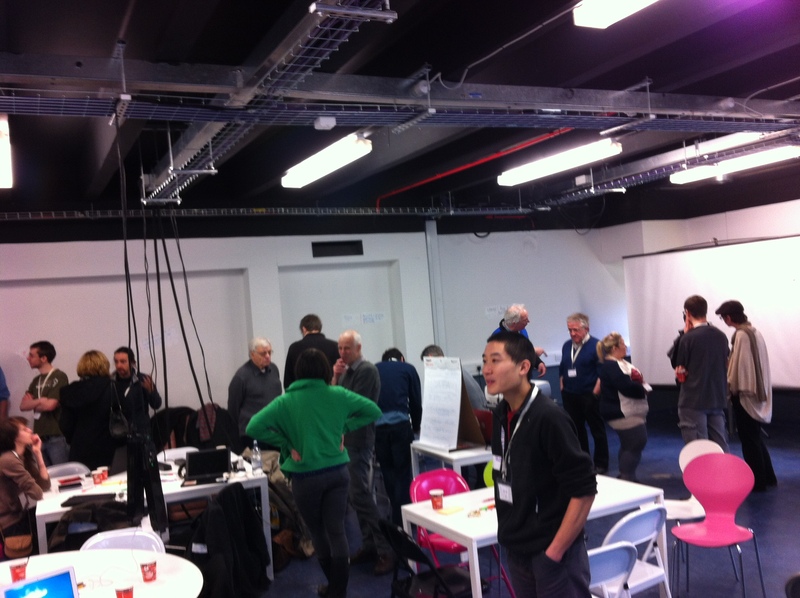 They are Learner Journey Data Jam taking place 12-14 April and Life Designs taking place 19-21 April. Both in Edinburgh. NHS Hack Scotland, which took place last month, has posted photos and video of their event so have a peek for a better idea of what goes on. Learner Journey Data Jam is a weekend long collaborative event involving developers, designers, learners, practitioners and education sector / policy makers. The purpose of the event is to explore and experiment with existing learner data and discover it’s potential in helping learners on their educational journey. Data Jam is inspired by Culture Hack Scotland and the upcoming NHS Hack Scotland, both of which explore the benefits of open data for empowering individuals and producing innovative new projects. At the heart of a new three-year partnership between NHS24 and New Media Scotland, Life Designs will be a year long programme of public facing activity in 2014 at the Inspace laboratory in Edinburgh and venues across Scotland.